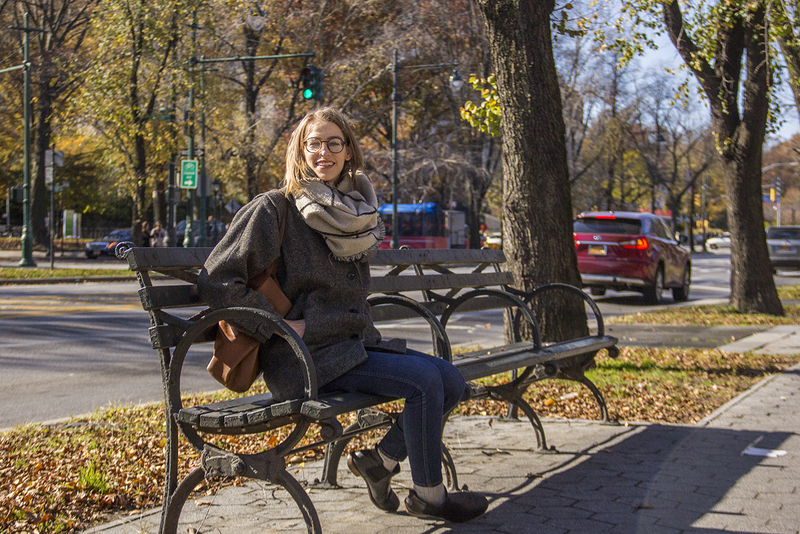 Without the Eastern Parkway greenway, a young writer may never have found her NYC. It may sound a bit granola when I say I love a bike path. But when it comes to the Eastern Parkway greenway I can’t hide my feelings. And I’m sure I come off like a cycling cliché, making my way from Crown Heights to Prospect Park outfitted in my hip glasses and white Converse, New Yorker tote bag filled with farmers’ market chard swinging from my handlebars. While I do wear hip Harry Potter–esque glasses as required for millennials in Brooklyn, my love of the greenway is about more than lifestyle. This two-mile walking and biking path has connected me to Brooklyn. When it was built between 1870 and 1874, I don’t think the designers of Eastern Parkway, Frederick Law Olmsted and Calvert Vaux (the same architects behind Central and Prospect parks), could have anticipated that Brooklyn would eventually become essentially its own premier city, separate and apart from its sibling across the East River, a signifier and even a brand. And yet, they gave it some world-class destinations, including Prospect Park, that continue to make it more than a sidekick to Manhattan. I remember my first encounter with the greenway. I had been sleeping on my sister’s couch, trying to get a job, when my best friend from college let me know there was an open room in her Crown Heights apartment. I came off the 4 train surprised to find myself on a bike path with trees lined on either side along the massive boulevard of Eastern Parkway, with tall, brick residential apartments in the surroundings. Here was a genuinely attractive stretch, a green treasure in the heart of Brooklyn. After living on a narrow street in the East Village, the idea of existing along this wide bike path running next to a massive boulevard felt strange. I imagined city life as small local streets like the ones in Hey Arnold!, the butcher down the block, chess players on the sidewalk, and the stoop kid never leaving his stoop. Well, maybe not the last, but Eastern Parkway was unexpected. After moving in, I felt a slow burn developing for the greenway. It pulled me into Prospect Park, where I discovered the Long Meadow, my go-to reading and relaxation spot, and the the best Neapolitan pizza in central Brooklyn at Barboncino. The neighborhood, and my beloved greenway, became even more dear to me as the trees marked the passing of my first year in New York. That night ended with burrata, white beans and pesto, and a soppressata pizza at Barboncino with my friends, each of us feeling giddy and a little less like transplants. Here, we were locals. Over the course of that first year, I gained my footing with Brooklyn’s history and culture by exploring the landmark institutions minutes from my apartment. I can easily take the Eastern Parkway greenway to the Brooklyn Museum to see rooms of Egyptian artifacts and mummies and feminist art like Judy Chicago’s The Dinner Party. Or I can go to the Brooklyn Botanic Garden and experience the cherry blossoms opening. I also have access to the largest library in my borough to grab a travel book on Costa Rica or attend a poetry reading by Sonia Sanchez. And just on the west side of those destinations is the largest park in the entire borough, which has none of the overcrowding of Central Park. Can you even bike in Central Park without constantly dodging and weaving around people? At Prospect that is never a worry. 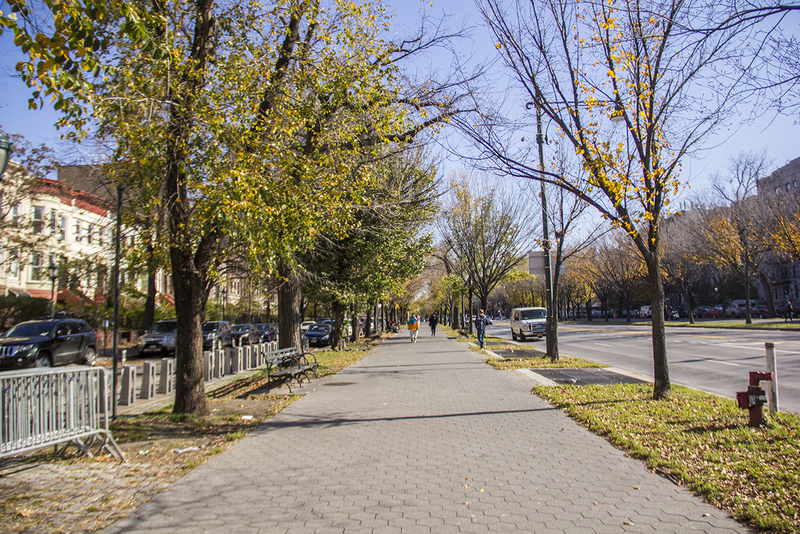 There aren’t many places in New York that feel local yet grand, but that’s exactly what Crown Heights and the greenway feel like. Here, I’m able to experience a kind of urban coziness, while also being part of something bigger. 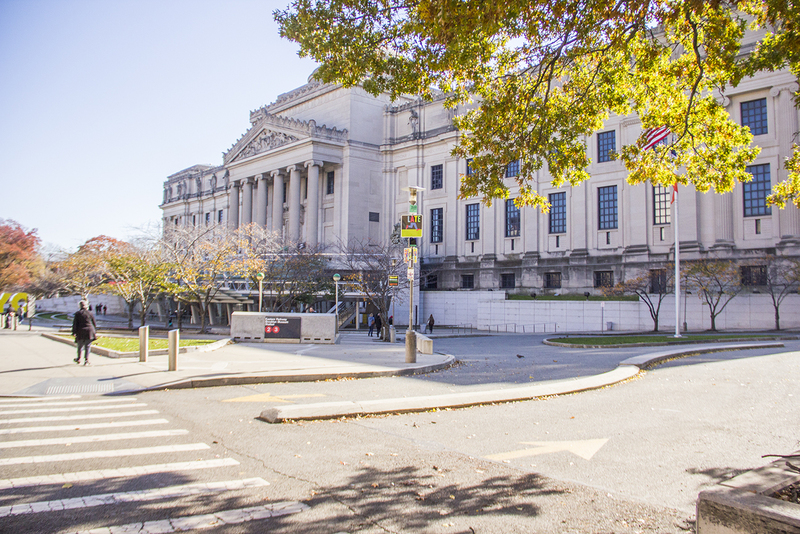 Take the First Saturdays at the Brooklyn Museum: free admission for the community to a preeminent art museum with live music, curator tours, dance ensembles, burlesque shows, and more. It’s like a block party decorated by art masters. That’s how I experienced the “David Bowie Is” exhibition, bawling my eyes out, amazed. That night ended with burrata, white beans and pesto, and a soppressata pizza at Barboncino with my friends, each of us feeling giddy and a little less like transplants. Here, we were locals. I love my neighborhood and the Eastern Parkway greenway. This two-mile bike path reminds me that NYC doesn’t have to just be grit and grime—it can be green. A walk on the greenway to the Nethermead in Prospect Park puts me at peace when the city is too much. But when I’m bursting with energy and ready to get out, I have Berg’n Beer Hall, Friends and Lovers for dancing, Super Power for tiki drinks, and the best jerk chicken around. As I walk along the tree-lined greenway, the scenery hasn’t changed much in a year, but I have. 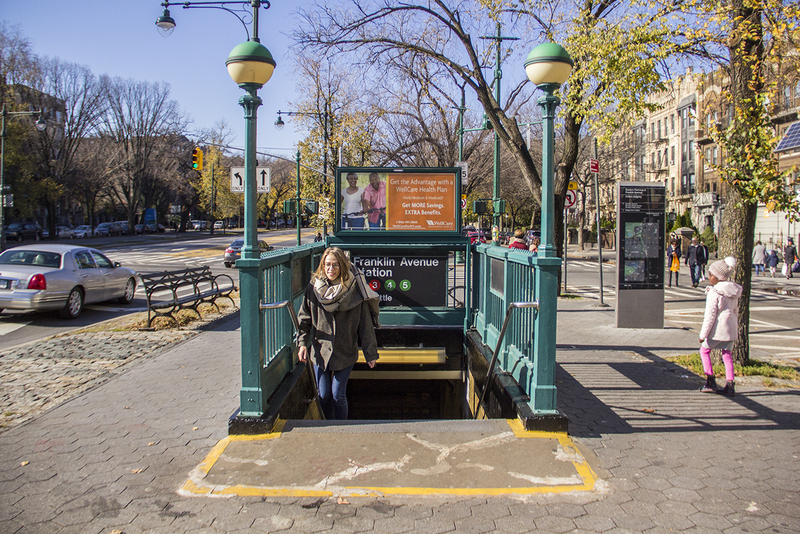 Crown Heights isn’t just a neighborhood on the map now. It’s full of memories for me. One memory: my first date in the city, taking the bike path with him. Getting my first Mister Softee cone outside the Brooklyn Museum and strolling along my greenway, which by then was more than a landmark. It was a part of my home. Kelsey Young is a writer and book nerd working in publishing at HarperCollins. Follow her on Instagram: @kelseyvonyoung.